A father's Facebook post praising his wife for sharing their bed with their children is going viral. 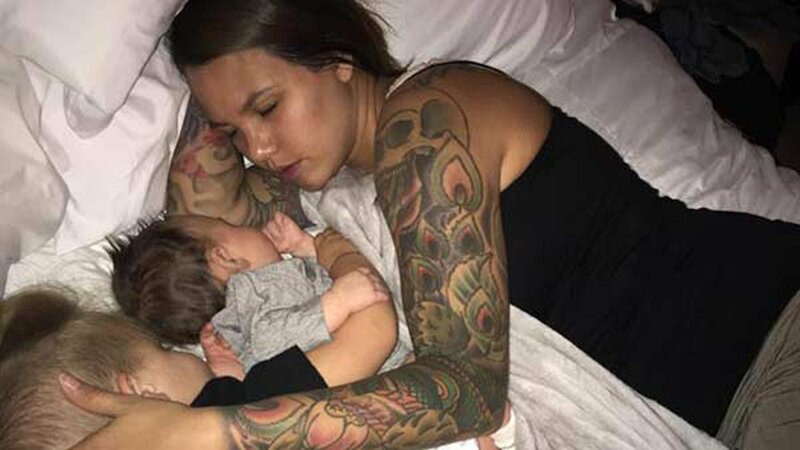 David Brinkley shared a touching photo of his wife, Alora, sleeping with their two young children in bed. After hearing that some fathers don't support the practice known as "co-sleeping," David felt he had to "set the record straight." Brinkley wrote: "I do NOT hate any part of what makes my wife the mother that she is. I would NEVER degrade or disregard anything that she feels like doing for my children. Do I have to squeeze into a small corner of the bed sometimes? Yeah? But my God how beautiful does she look holding my children? Making them feel loved and safe?" The Yukon, Oklahoma father went on to explain that there is only a small window of time that his children will want to sleep with their parents. And after that, he and his wife will have the bed to themselves for the rest of their lives. "I just want to say that I am proud of the decisions my wife makes as a mom and I support every single one of them. I would never want to rob her of this time she has or these seasons that are in reality too short to not enjoy," he wrote. "Please respect your wives as mothers." As of Thursday, Brinkley's post has been shared more than 340,000 times.